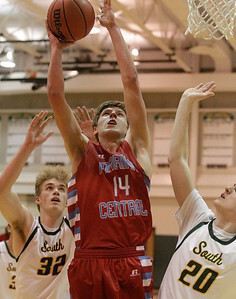 Matthew Apgar - mapgar@shawmedia.com Marian Central's Thomas Menner, center, grabs the rebound ahead of Crystal Lake South's Weston Buckner, left, and Luke Nolan, right, during their boys basketball game on Wednesday, Jan. 20, 2016 at Crystal Lake South High School in Crystal Lake. 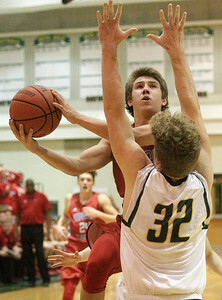 Matthew Apgar - mapgar@shawmedia.com Jack Moscinski of Marian Central drives a layup to the hoop against Crystal Lake South during their boys basketball game on Wednesday, Jan. 20, 2016 at Crystal Lake South High School in Crystal Lake. Matthew Apgar - mapgar@shawmedia.com Adam Pischke of Marian Central, left, dives for the ball with Crystal Lake South's Tyler Carlson and Joshua Friesen, right, during their boys basketball game on Wednesday, Jan. 20, 2016 at Crystal Lake South High School in Crystal Lake. 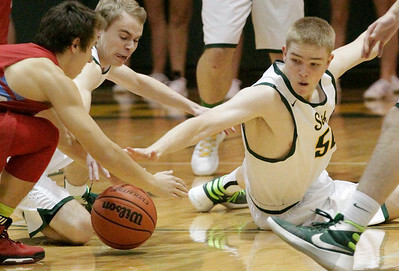 Matthew Apgar - mapgar@shawmedia.com Crystal Lake South's Noah Wilde dribbles around Marian Central's Thomas Menner during their boys basketball game on Wednesday, Jan. 20, 2016 at Crystal Lake South High School in Crystal Lake. 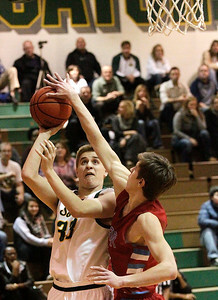 Matthew Apgar - mapgar@shawmedia.com Thomas Kaufmann of Marian Central shoots over Crystal Lake South's Noah Wilde during their boys basketball game on Wednesday, Jan. 20, 2016 at Crystal Lake South High School in Crystal Lake. 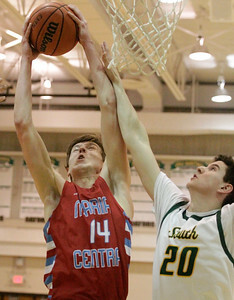 Matthew Apgar - mapgar@shawmedia.com Marian Central's Thomas Menner grabs the rebound ahead of Crystal Lake South's Luke Nolan during their boys basketball game on Wednesday, Jan. 20, 2016 at Crystal Lake South High School in Crystal Lake. 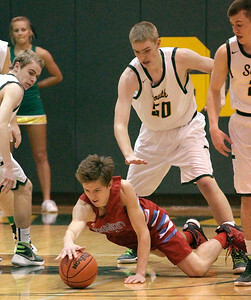 Matthew Apgar - mapgar@shawmedia.com Crystal Lake South's Tyler Kaskin and Marian Central's Thomas Menner stretch out for the ball during their boys basketball game on Wednesday, Jan. 20, 2016 at Crystal Lake South High School in Crystal Lake. 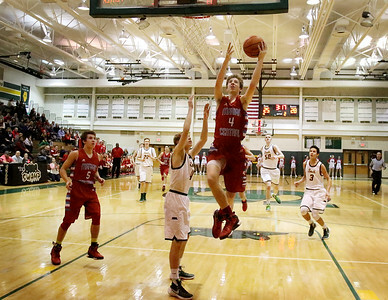 Matthew Apgar - mapgar@shawmedia.com Jack Moscinski of Marian Central dives for the ball ahead of Joshua Friesen of Crystal Lake South during their boys basketball game on Wednesday, Jan. 20, 2016 at Crystal Lake South High School in Crystal Lake. 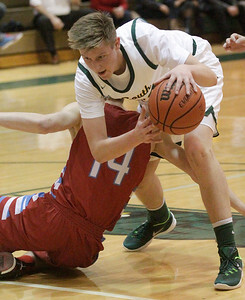 Matthew Apgar - mapgar@shawmedia.com Adam Pischke of Marian Central topples over Weston Buckner of Crystal Lake South during their boys basketball game on Wednesday, Jan. 20, 2016 at Crystal Lake South High School in Crystal Lake. 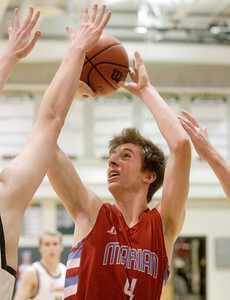 Matthew Apgar - mapgar@shawmedia.com Marian Central's Thomas Menner, center, shoots the ball past Crystal Lake South's Weston Buckner, left, and Luke Nolan, right, during their boys basketball game on Wednesday, Jan. 20, 2016 at Crystal Lake South High School in Crystal Lake. 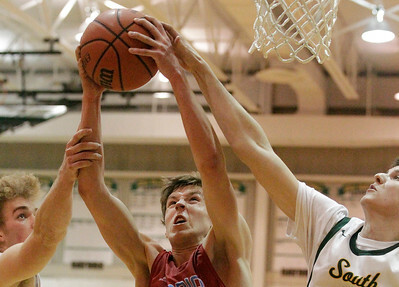 Matthew Apgar - mapgar@shawmedia.com Crystal Lake South's Tyler Kaskin takes a shot but is blocked by Marian Central's Thomas Menner during their boys basketball game on Wednesday, Jan. 20, 2016 at Crystal Lake South High School in Crystal Lake. 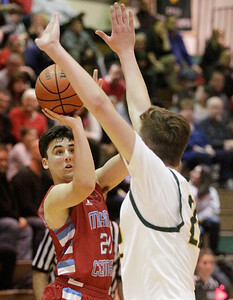 Matthew Apgar - mapgar@shawmedia.com Jack Moscinski of Marian Central takes a shot over Crystal Lake South during their boys basketball game on Wednesday, Jan. 20, 2016 at Crystal Lake South High School in Crystal Lake. 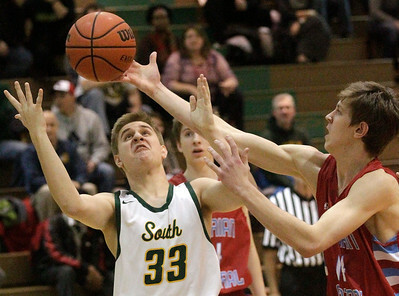 Marian Central's Thomas Menner grabs the rebound ahead of Crystal Lake South's Luke Nolan during their boys basketball game on Wednesday, Jan. 20, 2016 at Crystal Lake South High School in Crystal Lake.